Scottish clans are a staple of Scottish culture and a critical step in identifying a person's Scottish ancestry. Not every person who bears a particular surname is related to the respective clan, but the shared identity of each has been influential in shaping Scottish geography. The modern idea of clans originates in the early 19th century as the Highlands were increasingly romanticized in literature. Historically, kin groups with close relatives formed local communities who over the years began adopting similar surnames and the clan system developed. As clans grew in number and influence, many began forming alliances with their neighbors, or rivalries began over land and personal property. Following the Jacobite defeat at the Battle of Culloden, the clan system was officially abolished in 1745 with a series of harsh laws. By the mid-1800s, romantic memory about the Scottish Highlands saw the resurgence of clan mythology and history. Today there are hundred of Scottish clan organizations with thousands of members worldwide. Many of them have websites you can visit and if you travel to Highland games and festivals, clan tents are always a permanent fixture. 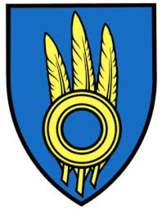 Clan representatives and ambassadors travel the country finding new members and educating the public about their respective clans. Some of our own below to such groups and even hold high offices as well! If you have questions about a specific Scottish clan or want to learn more about the clan system, message us on our Contact page or click on the resources links below! 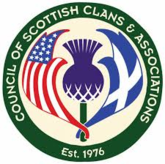 Council of Scottish Clans & Associations, Inc.
COSCA's primary purpose is to preserve and promote the customs, traditions, and heritage of the Scottish people. We strive to do this by educating the public about Scottish history, literature, poetry, art, and culture. Here you can find information on Scottish clans, upcoming events, association calendar, articles and blog posts, and ways to donate to the association. The Standing Council of Scottish Chiefs is the definitive and authoritative body for information on the Scottish clan system. Here you can search for the most current information on clan news, blog posts and articles from members, a directory for clan contacts, and other relevant content.